Yes, it’s frigid outside. You look out the window and all you see is a blanket of white and the barren trees whipping in the wind. But believe it or not, spring will be here sooner than you can imagine. If you need a little inspiration to kick-start thoughts of sunny days, swing by Holt Renfrew to see what new designer labels and collections it has in store for spring. Better yet, why not start working on your spring wishlist with these top three trends. Miranda Priestly may have intimated that florals for spring are played out, but you can’t deny a good thing when you see it. This spring, florals are indeed groundbreaking, especially in a delightfully clashing print like this Clover Canyon dress ($355). 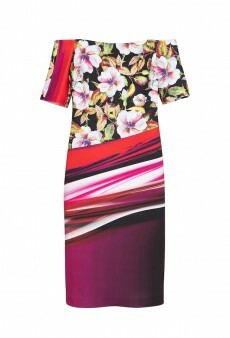 It melds some of spring’s strongest stories; florals, brights, exposed shoulders and a slightly boxy silhouette. Take that, Miranda. We’re still not sure who’s responsible for putting sneakers back on the fashion map (Isabel Marant, we’re looking at you), but we wish that designer would stand up and take a bow. After years of sky-high stilettos and vertigo-inducing platforms, the hip, urban and, yes, comfortable sneaker has crept back onto the scene and our feet couldn’t be happier. 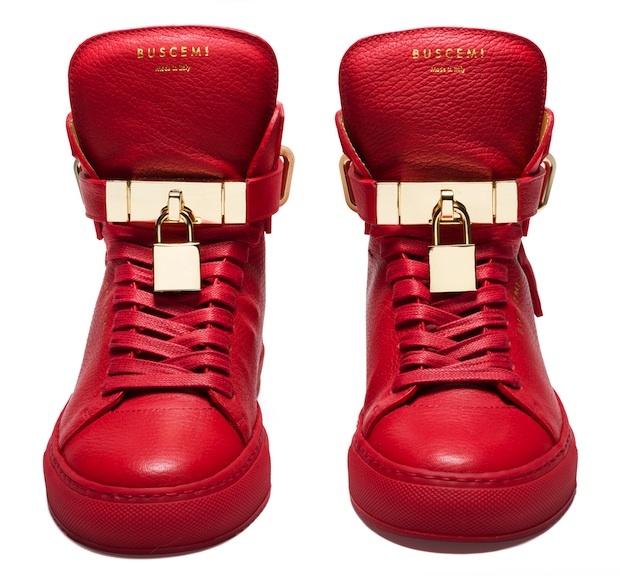 These Buscemi numbers ($975) with their amazing lipstick red hue and gold hardware have all the elements of haute couture comfort. Don’t you just love when fashion has a hearty laugh at itself? Never one to take herself too seriously, Anya Hindmarch, the purveyor of quirky cool, has released a collection this spring with loads of vintage references that bring back memories of bubblegum and sticker books. 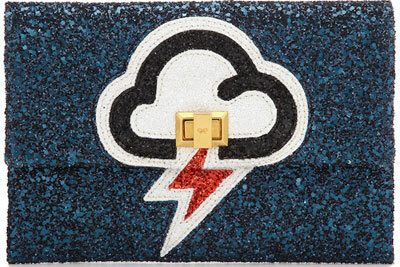 And this Valorie Lightning Glitter Leather clutch ($695) is no exception. A lightning bolt on a sparkly backdrop? We’re pretty sure we had this puffy sticker in our book back in the day. And wouldn’t we all like it under our arm this season?